During the refugee crisis, Austria’s then foreign minister and now Chancellor Sebastian Kurz has emerged as a fierce Merkel critic. During his inaugural visit to Berlin this week, it became clear that their differences aren’t going anywhere, writes EURACTIV Germany’s partner Der Tagesspiegel. The guest from Vienna addressed his hostess as “esteemed Mrs Chancellor”. In many ways, Austria’s new head of government left no doubt during his inaugural visit to Berlin that he is trying to have a good relationship with Chancellor Angela Merkel (CDU). Merkel is one of “the most experienced leaders in the EU,” Kurz said after meeting with his German counterpart. It could have been easy to forget that during the refugee crisis Kurz was one of Merkel’s fiercest critics. Back then, Kurz had been the foreign minister in a Viennese grand coalition. He is now the Austrian Chancellor and his first appearances in the EU arena show that the Austrian People’s Party (ÖVP) leader does not want to be depicted as a troublemaker. Commitment is, so to speak, part of Kurz’s style: at a joint press conference during his inaugural visit to Paris last week, he was already on first-name terms with French President Emmanuel Macron. Both the 31-year old Kurz and the 40-year old Macron belong to a young generation of politicians who have thoroughly changed the party landscape in their respective countries. But the fact that Kurz and Macron belong to the same age group cannot belie the fact that they have quite different political ideas: while Kurz has moved the ÖVP to the right and now governs together with the right-wing populist FPÖ, Macron issued a clear declaration of war on the right-wing Front National during his presidential campaign last year. German Chancellor Angela Merkel will travel to Paris on Friday (19 January) for a working meeting with President Emmanuel Macron to discuss the future of Europe, the French leader’s office said. In Berlin, the participation of the FPÖ in the government is also seen quite critically. For Merkel, the name of the game is to measure the new government partner in Vienna by their action, as the German Chancellor emphasised after meeting with Kurz on Wednesday. For this, the upcoming months might offer more than enough opportunities in terms of EU policies: the negotiations over the EU budget for 2021 are starting soon, the EU wants to agree on a new asylum system by June and Macron is still awaiting an answer to his ambitious push for a reform of the union. During the visit, it became evident that despite all overlaps there are also substantial differences between Merkel and Kurz. For examples, when it comes to the festering row between the EU partners over the distribution quotas of refugees in need of protection. Kurz defended his position that the EU should not waste its energy on discussing the quotas that have been rejected by Eastern European member states like Poland and Hungary. He was critical in saying that the discussion over quotas, which are favoured by Merkel and Macron, would “take too much room”. 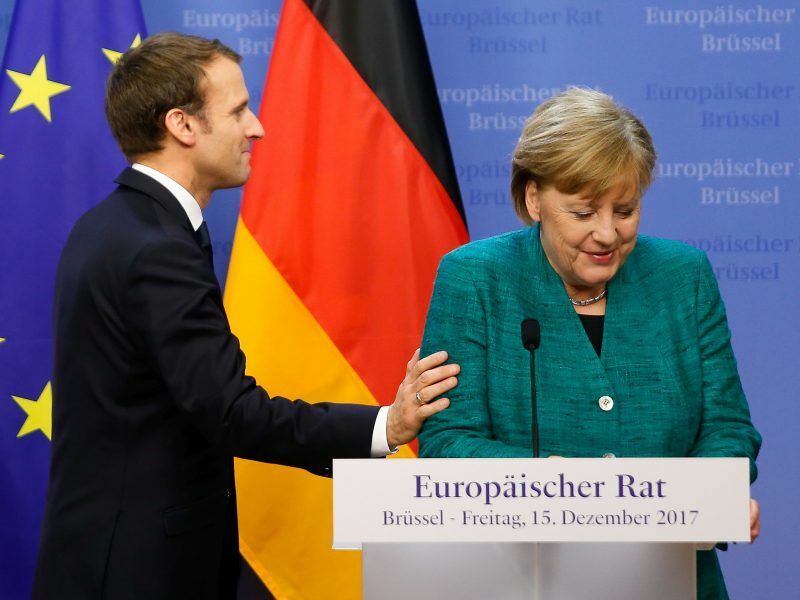 Merkel endorsed her guest’s position that the issue concerning the distribution of refugees inside the EU is not a gateway for migration policy. But she rather emphasised the fact that some EU members want to opt out. “I consider this wrong”, the German Chancellor stressed. Both Merkel and Kurz endorsed the idea of an intensified protection of EU borders and the reduction of illegal migration – something that has become a blanket mantra in Europe since 2016. 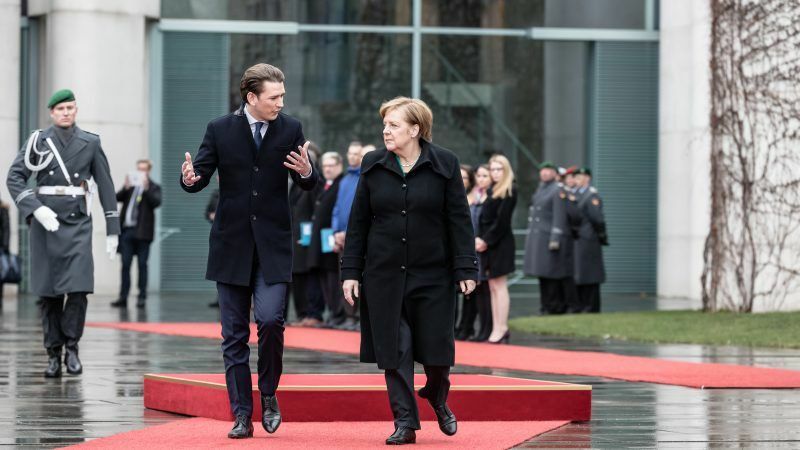 Nevertheless, the German Chancellor seems not to have forgotten that at a certain point during the migration crisis Kurz evolved into one of her most decisive opponents. 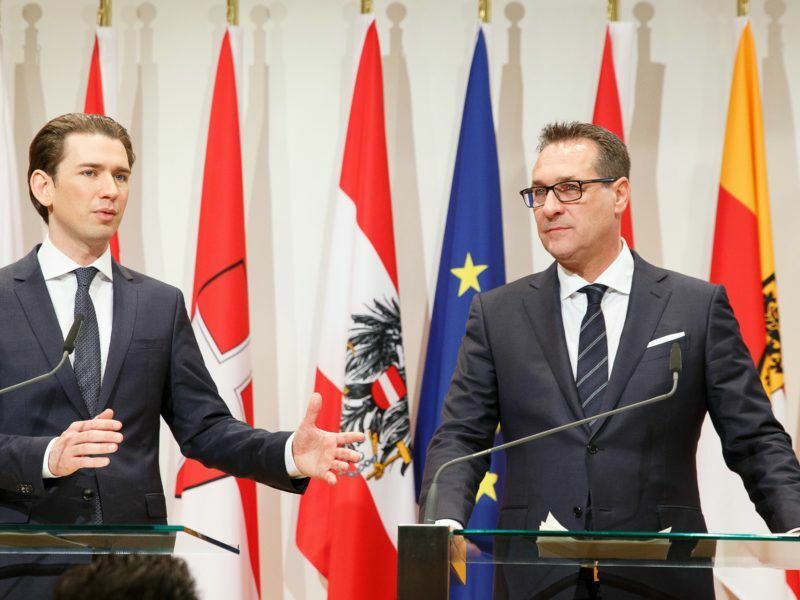 After the shutdown of the Balkan route, Kurz said back then that with the closing of the borders in the Western Balkans “effective policies” had been implemented against the will of Germany. Whereas Merkel always declared that the closure of the Balkan route alone did not solve the problem. Instead, the German Chancellor repeatedly emphasised the importance of the EU’s agreement with Turkey. That the old quarrel has not died yet became especially evident after Merkel remarked that the agreement in migration policy made with Turkish President Recep Tayyip Erdogan is an example for the protection of the EU’s external maritime borders. In the meantime, inside Merkel’s governing CDU and especially in its more conservative sister party CSU, there are a number of politicians who picture Kurz as a role model for a hoped-for rebound of the German Christian Democrats. Responding to the question whether the German government may be lacking a young and brisk politician like Kurz, Merkel gave the laconic answer: ”The Austrian Chancellor is young, you cannot deny that.” Nevertheless, she added, in a government, it comes down to a “good mixture” of old and young politicians.